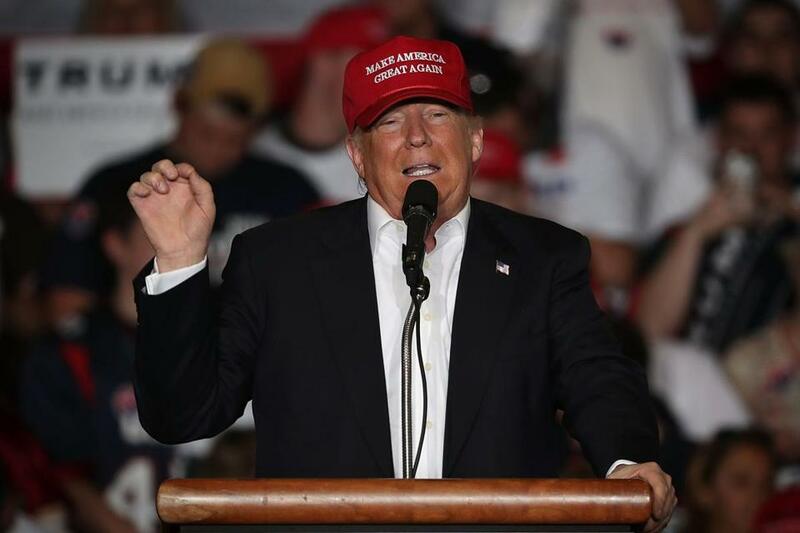 Republican presidential candidate Donald Trump spoke during a campaign rally. HOLLYWOOD, Fla. — His general-election appeal in question, Donald Trump’s senior team is promising anxious Republicans that voters will see ‘‘a real different way’’ soon after the GOP front-runner claims his party’s presidential nomination. ‘‘When he’s out on the stage, when he’s talking about the kinds of things he’s talking about on the stump, he’s projecting an image that’s for that purpose,’’ Paul Manafort, who is leading Trump’s primary election strategy, told Republican National Committee members in a private briefing Thursday. ‘‘You’ll start to see more depth of the person, the real person. You’ll see a real different way,’’ Manafort said. The Associated Press obtained a recording of the discussion. The message is part of the campaign’s intensifying effort to convince party leaders that Trump will help deliver big electoral gains this fall, despite his contentious ways. Yet it also opens him up to questions about his authenticity. Republican rival Ted Cruz seized on the remarks in a radio interview late Thursday. The Republican National Committee gathered at a seaside resort in Hollywood, Fla., for its annual spring meeting. Senior advisers for Trump, Cruz, and Ohio Governor John Kasich also courted RNC members in private meetings. Despite his team’s message, Trump was telling voters Friday he wasn’t quite ready to act presidential. ‘‘I just don’t know if I want to do it yet,’’ he said during a raucous rally in Harrisburg, Pa., that was frequently interrupted by protesters. ‘‘At some point, I’m going to be so presidential that you people will be so bored,’’ he said, predicting that the size of his crowds would dwindle if he dialed back his rhetoric. Trump’s team also signaled to RNC members that he was willing to dip into his personal fortune to fund his presidential bid, in addition to helping the national committee raise money, a promise that came as Trump prepared to launch his first big television advertising campaign in a month. Trump is optimistic about his chances in five states holding primaries Tuesday: Connecticut, Delaware, Maryland, Pennsylvania, and Rhode Island. He is now the only candidate who can possibly collect the 1,237-delegate majority needed to claim the GOP nomination before the convention.